A young man has died after falling from a building located near VB Mart in the Maafannu district of Male' City this Sunday morning. "Sun" has been informed the young man fell from a five-story guesthouse. Indhira Gandhi Memorial Hospital (IGMH) reported the man was dead when taken to the hospital. The case is under investigation by the Maldives Police Service. 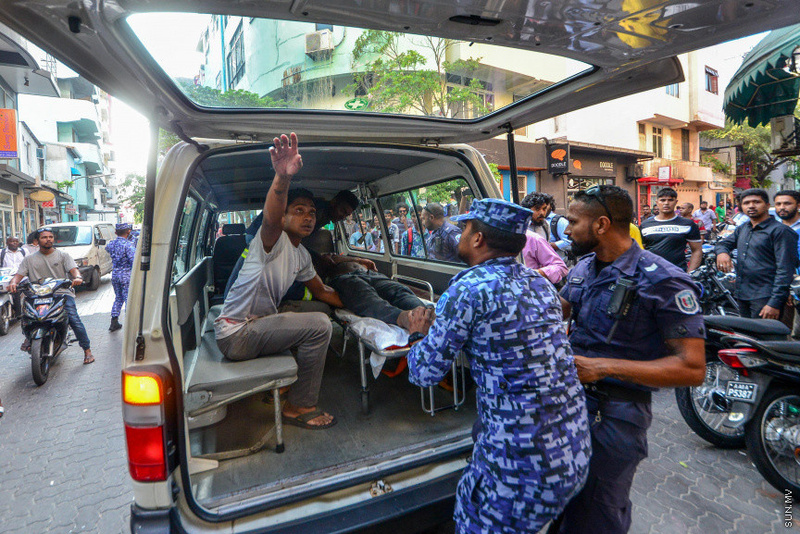 A similar incident took place in Hulhumale' in late February. An expatriate worker fell from the third-floor of a housing unit, and died later at ADK Hospital.